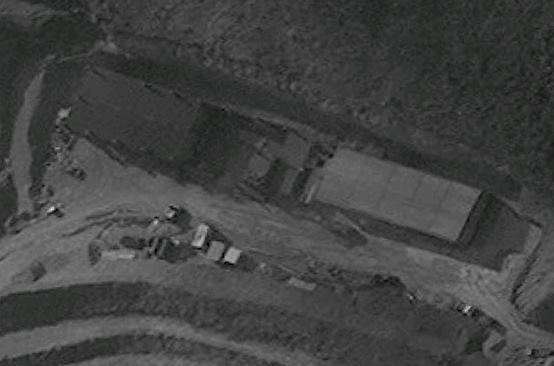 (Zaman Al Wasl)- Fresh Satellite pictures reveal that Iran and the Syrian regime have started the construction of missile facilities hit by Israel last September in northwestern Hama province. A quick rehabilitation and reconstruction process is under underway in the base of Sheikh Ghadban village, north of Mesyaf town, military source told Zaman al-Wasl. Both Iran and Lebanese Hezbollah militia use the base. Israel launched wild-scale airstrikes in 2018, targeting over 50 Iranian targets in the war-torn country. Israel wants to prevent by all means the existence of a "Shiite corridor" linking "Tehran to Damascus," Top Israeli officials say. 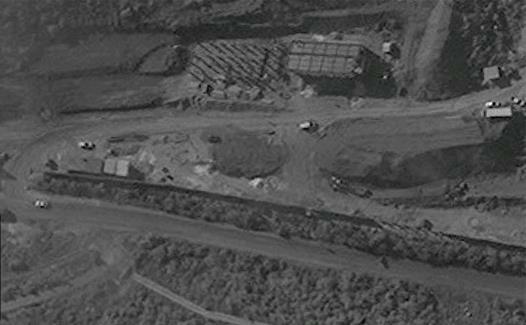 Also, an Iranian facility, which had been destroyed by the Israeli airstrikes last May near Damascus International airport, was reconstructed. The warehouse, which is located next to the glass house, was the Iranians headquarters in the International Airport. The Israeli strikes was the largest air force operation in Syria in over 40 years, came in response to an Iranian rocket barrage at the Occupied Golan Heights and Israel warnings that it would not tolerate Tehran’s attempts to entrench itself militarily on Israel’s northern border, according to The Times of Israel. Last May, a video produced by the Iranian opposition group, People’s Mujahidin of Iran, shed light on the expenses spent by Mullah’s regime in Iran on the war in Syria to support the survival of Bashar al-Assad. The video report shows with figures, pictures, and footages that the Mullah’s regime has devoted the entirety of its resources since the very first days to support Assad and keep him in power no matter the costs. According to another report by Nadim Shehadi, an economics teacher at US-based Tufts University, estimations suggest that the Assad regime has lost almost all of its resources between 2012 and 2013, where the Iranian regime spent $14 to 15$ billion in aids to Damascus. The American news agency Bloomberg cited Stephen Haydman, former vice president for applied research on conflict at the U.S. Institute of Peace, who said that the total support from Iran for Assad would be between $15 and $20 billion annually. “Mehrdad Emadi”, a senior economic advisor to the EU, noted, according to the reputable report, that the cost of the military presence of the Iranian Republic in Syria and Iraq and its financial support for three states, Syria, Iraq, and Lebanon, is are estimated at over $16.5 billion annually.